If you’ve hung around with us for long at all, you’ve heard about our dream to help moms move from the fringes where affordable housing to a space close to campus where they can feel a sense of belonging, connect with other moms and students in the network who can help them and have access to the resources that can help them on a more consistent basis–creating more stability for their families and increasing their chances of graduating. Having benefitted from Family and Graduate Housing on the campus of the University of Georgia and realizing that no such resource existing in Chattanooga, the MOMplex was a key part of Cara’s vision to help single moms and their children build a better future. 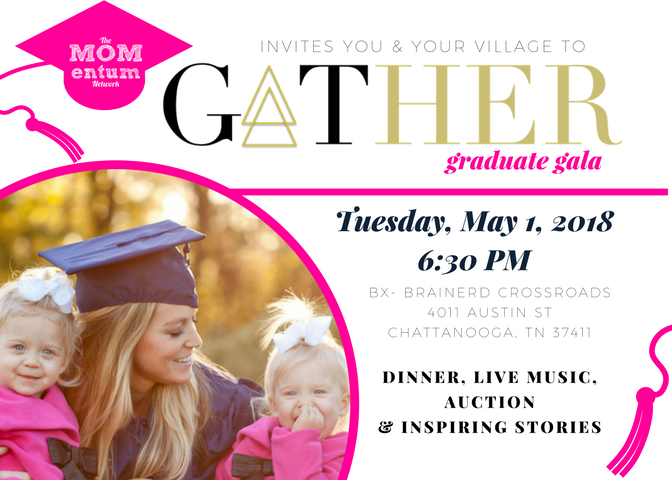 Shortly after launching The MOMentum Network, Cara discovered an organization called The Restoration House that was in the process of building a village for homeless single moms. They began with one apartment above their founder’s house and God opened doors beginning with a feature on Extreme Home Makeover and continuing with plans to build 24 units on land behind their home. Cara was able to visit Knoxville and learn from Daniel and his incredible team and he has continued to be a resource for TMN. Seeing God work so close to home encouraged us to keep dreaming and keeping taking one step at a time in faith. So we prayed from the very beginning and one of our board members gave Cara a book that reminded her of the power and provision of our faithful Father. Yet, the doors weren’t opening and it seemed like we wouldn’t be able to see this dream become a reality for a very long time. But still, the passion persisted and we discovered that several other cities were seeing major success with the housing/support service model. This past year, she was introduced to Family Scholar House by a Leadership Chattanooga classmate who thought we could replicate their model here. After a phone call to the director of FSH, we were reminded about the power of real estate. Not only did FSH see incredible outcomes from their scholars (70% of graduates are off all public assistance within the first year after graduating), but it provided a significant amount of income that covered operational costs for the organization, all the while charging fair rents and utilizing section 8 subsidies. We shared this information with some of our key supporters and wise real estate professionals who encouraged us to take steps forward in determining the feasibility of the project with the potential to utilize community banking programs or even impact investment funds from private investors. But we came to realize that even that part would take significant time and resources. After our board voted in faith to pursue the project, a potential donor came along and we were encouraged to put together a proposal to have the donor consider covering the cost of a feasibility study. This brought encouragement and we reached out to learn more about this process. We learned that the first step would be to put an option on a piece of land. Over the past year, we had begun to meet with other pro-mom groups and at one meeting we looked at an abandoned lot beside Bethany Christian Services and thought about how amazing it would be to restore the ruins next door and build up a safe haven for moms & children to restore their lives. At this time, the lot wasn’t on the market, but Cara found out the owner’s information and went to visit her. She offered the lot at a price that was far beyond our capacity, but they had a wonderful discussion. She mentioned the story of the pastor in the book she read that prayed for miraculous provision who ended up with a place far better than he could even imagine. The owner smiled and politely suggested that we look for something in another part of town and later listed the property. Soon after, we were excited to find out about some new tax credits that might make it more attractive for private donors and equity partners to participate in our project; And while we are by no means experts in this area, a few people who speak this language have approached us about helping us explore our options and have encouraged us to get real numbers for them to consider. So we continued looking for property that could work. Meanwhile, we found out that the donor did not decide to fund the feasibility study (which costs $14,000-$25,000) and our spirits were down a bit. But that same week at church, the pastor taught about the walls surrounding Jericho. Encouraged by the sermon, we began to pray purposely that God would help the walls fall and doors to open with the project. 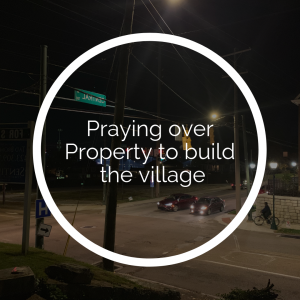 While funding resources haven’t surfaced, we dedicated 7 days to pray around the property next to Bethany, believing in faith that God move us forward in the direction that He would have us go. Seven people came to join the TMN staff last Tuesday and many others committed to praying from where they were at and we concluded our week of prayer on top of the lot (it sits on a hill with a lovely view). So while we’re not ready to break ground yet, we are taking steps forward in that direction. We have more facts than we did before and more faith too. If you’ve read this far, you’re one of our most dedicated team members and we’d be so grateful for your continued prayers, support and encouragement!